105 & 109 Priya Circle. With an estimated 3.235 net upland acres, we believe the construction of a 35,000 sq. ft. warehouse would be both possible and highly desirable. A review of the 4th Quarter 2016 CoStar Industrial Report shows there were just over 51 million sq. 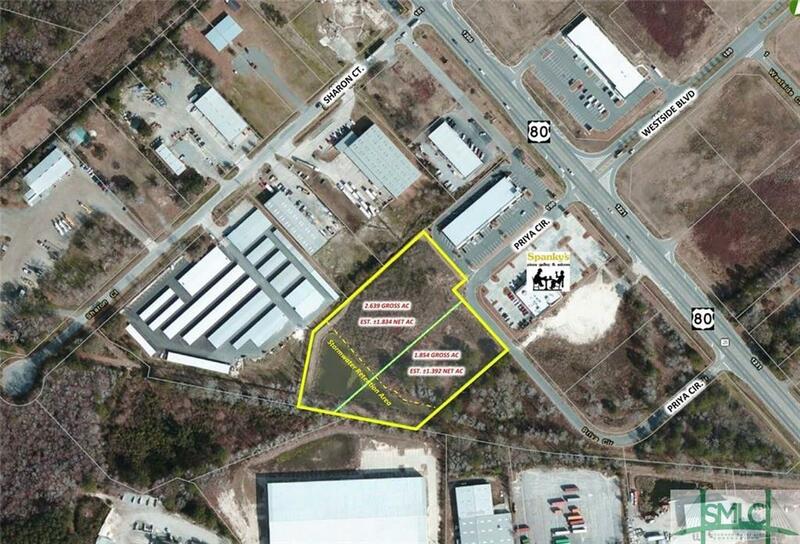 ft. of warehouse space in Savannah averaging 45,000 sq. ft. /building. However, the trend has gone for very large facilities as the Port continues to be the fastest-growing in the country in advance of the river dredging to accommodate the post-Panamax super containerships capable of carrying in excess of 10,000 containers. Deliveries in 2016 averaged 185,000 sq. ft. Warehouses currently under construction are averaging just over 430,000 sq. ft.! All this has made finding the average sized warehouse building all but impossible as overall, the market is enjoying a 2.9% vacancy rate. Listing courtesy of Chuck Mitchell of Parker Scott Properties. © 2019 Savannah Multi-List Corporation. All rights reserved.